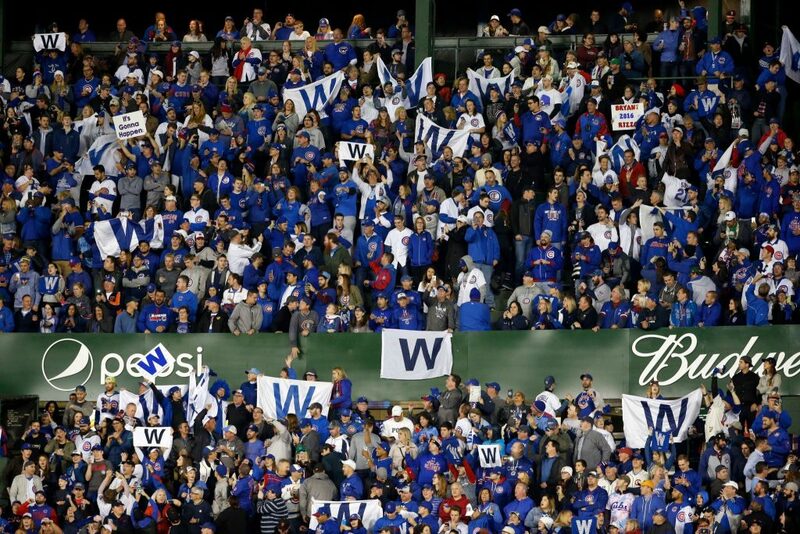 The Chicago Cubs are one win away from reaching the NL Championship Series for the second straight year. Game 2 needed the next man up for the Cubs. His name Travis Wood. Wood took over when starter Kyle Hendricks got hurt and became the first relief pitcher since 1924 to hit a postseason home run, helping the Cubs beat the San Francisco Giants 5-2 Saturday night for a 2-0 NL Division Series lead. Call up the lumberjack. Madison Bumgarner, coming off a four-hit shutout of the New York Mets in the NL wild-card game, tries to save the Giants’ season when the series resumes in San Francisco. Bumgarner has pitched 23 consecutive postseason innings and is 8-3 with a 1.94 ERA in 13 postseason starts and 15 appearances. The Cubs will dial up reigning NL Cy Young Award winner Jake Arrieta. He won 18 games but had a 4.60 ERA in five starts last month. The Cubs were leading 4-2 in the fourth when Hendricks left the game with a bruised right forearm after being hit by Angel Pagan’s line drive. Hendricks said his arm “feels pretty good right now” and he hopes to be ready in a few days after X-rays showed no structural damage.